Clean, modern and sophisticated, this project was completed in 2013 and was designed for a family of five. 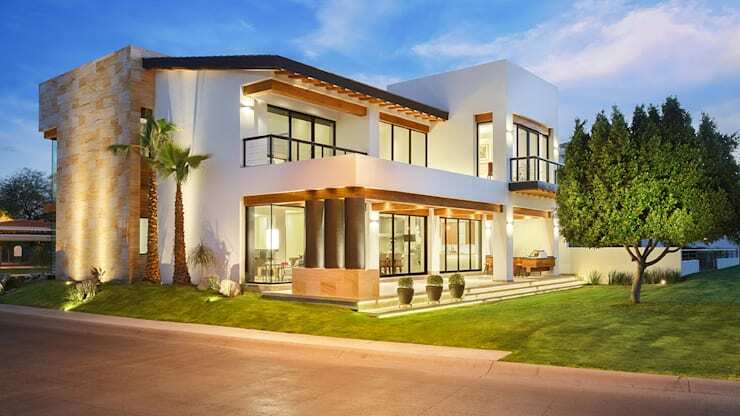 The Mexican-based Imativa Architects had a specific brief from mom and dad—functional spaces for specific family activities, that can be enjoyed by everyone. Essentially, this home is the family's dream house—and you'll soon see why! Based on just over 550 square metres of land, the architects have utilised every inch, creating a ground floor for social activities and a second floor as a private space for the family. With different volumes, shapes, textures and use of the spaces, you'll see that this a home that is far from boring. Who said Saturday night at home with the family couldn't be fun? As Michael J. Fox said, Family is not an important thing. It's everything. So let's go an explore a family's dream house! Our first view of the house is from outside the front door, where white, black, stone and wood work together in harmony to create a very refreshing, clean and homely looking piece of architecture. Even though it is rather grand in size, there is nothing intimidating about this beautiful exterior. The double garage is perfect for the family cars, as well as any other items that need to be stored such as bicycles, scooters, skateboards or surfboards. A space like this is a must in a family home, especially in South Africa because it ensures that you don't end up with clutter in your home. Store it in the garage, neatly and out of sight. The designers have blended the exterior colours and textures together perfectly, using them to illuminate different shapes and volumes throughout. What is fantastic is that there are also plants, a neat lawn and trees in this area, which naturally decorates the exterior. Landscaping is incredibly important for this factor—it completely enhances the look and feel of a home from the outside. You'll notice that there are big windows used as well, giving a little glimpse into the interior and opening the house up. However, the designers have included these strategically, so as to not compromise the privacy of the family. As Charles R. Swindoll said, A family is a place where principles are hammered and honed on the anvil of everyday living. If we move around to the back of the house, we can see that white becomes a more dominant colour while big glass doors allow the house to spill out onto the lawn. This is the ultimate design for a family, allowing for the backyard to become just as much apart of the house as the interior. Everything is bright, light and spacious where open plan is key. Modern family homes are utilising open plan increasingly, allowing for a much more social space. You also want to be able to keep an eye on the kids while you're cooking, catching up on the news or even doing some work. The architects have explained, The main social area combines the kitchen, the dining room and a terrace where height, lighting, windows, furniture and textures come together to encourage a cheerful and relaxed co-existence among its inhabitants. Any why shouldn't a family live in a beautiful home like this? As Will Durant said, The family is the nucleus of civilization. If we move into the living room, it's clear that the effortless style that we so outside transitions throughout the interior too. Beautiful grey sofas decorate this space in different shades (50 shades of grey! ), working well with the cream floor tiles and the glass coffee table. On the left there is a little bar nook, lined with four sleek bar stools, decorated with a flat screen television. What the designers have done here is gone for very neutral colours—grey, black, brown and cream, and then used colourful ornaments to add a bit of brightness to the space. Not only does this create a timeless living room that suits the needs of the whole family, but you can also change the style whenever you like simply by adding new artwork to the walls or replacing the ornaments on the coffee table. When it comes to a family home, even in a fancier room like this, you want the kids to be able to run around without worrying about sticky fingers or a cushion being knocked over. Especially if your kids are young, opt for durable furniture and objects that you aren't too sentimental. As Eric Hoffer said, Children are the keys of paradise. Have a look through the homify living room products to get some new ideas for your own! 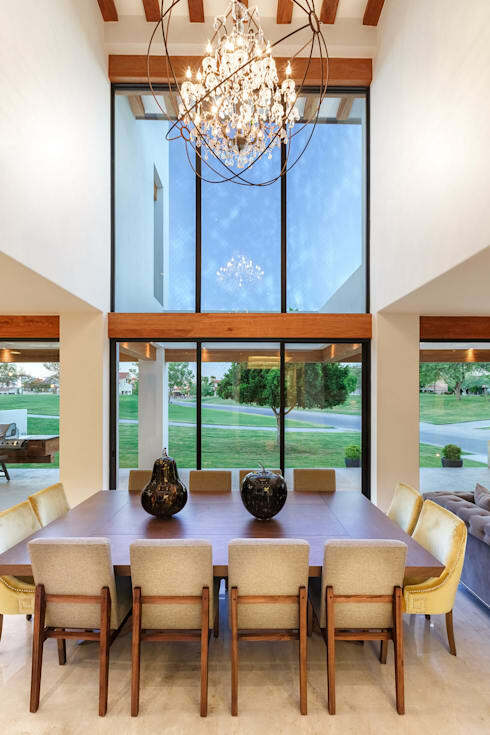 From the dining room, we can see how beautifully the glass window and door features work throughout the home, allowing for a real integration of the outside and inside spaces. The dining room table is large and square, seating 12 people at a time—a wonderful piece of furniture for entertaining. We love the cream chairs that decorate the rich, wooden dining room table. And the decor pieces are superb—adding a subtle and pretty twist to the normal dining room table look and feel. Remember, when all else fails you can always opt for fresh flowers in a big vase! The chandelier is one of the best parts of this home, hanging over the dining room table and giving the entire space a bit of glamour and bling. Lighting is so important in the dining room, because you want to create ambiance and atmosphere, especially when you have people over for dinner. There is a delicate balance between being able to see your food and feeling like you're under a spotlight. The kitchen is the perfect family haven, which the designers have finished in a clean and minimalist style. 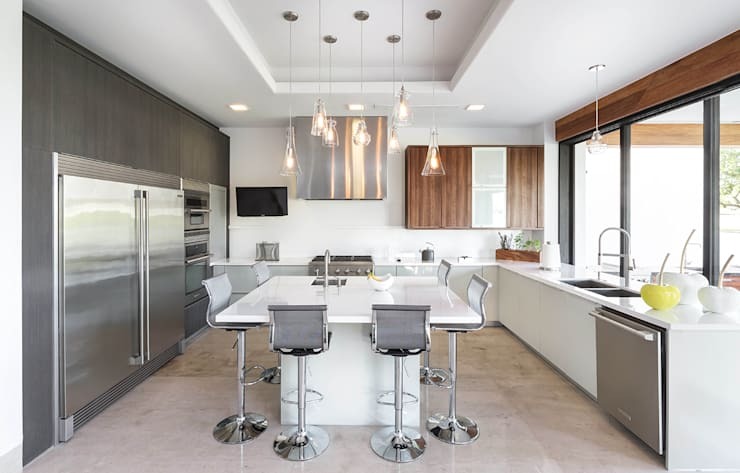 Shiny white counters complement sleek silver appliances—don't you think this kitchen looks like a chef's paradise? The kitchen island in the middle of the room is a must of any family kitchen if you have the space! It allows for everyone to gather, informally, around a space and enjoy chatting and catching up. The kids can do their homework while mom or dad are preparing dinner and the family can enjoy breakfast together without having to leave the room! It also means that when your best friend is over, they can enjoy a glass of wine and a chat while you are busy in the kitchen. This is the perfect social tool. You'll notice that the room is very organised, with very limited items out on the counters. Minimalist is the name of the game here and can be achieved with smart storage solutions. For some tips, read our: Simple guide to an organised home. The lights that hang over the kitchen island are modern and trendy—totally on point. Invest in some funky lights like this and you'll change your whole kitchen space. Barbara Bush said, Cherish your human connections—your relationships with friends and family. This is the place to do it! We end off our tour in one of the kid's bedrooms, because it's just too special to miss! 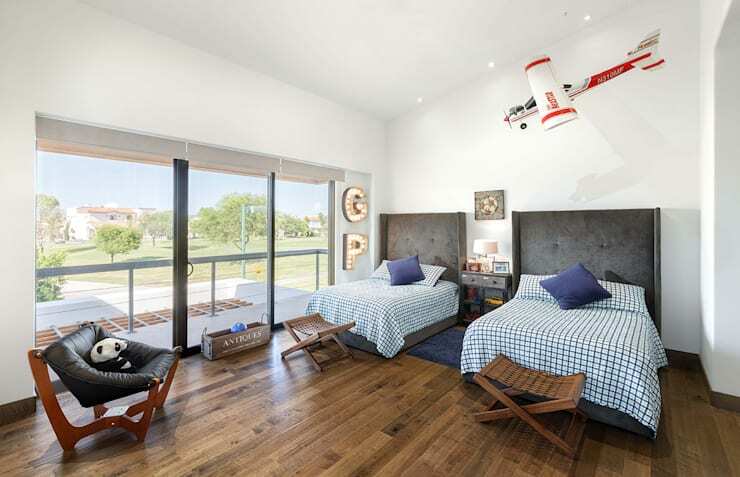 The subtle areoplane theme and the use of blue throughout hints to us that this may be a young boy's bedroom—designed incredibly carefully. Why? Because the designers have used linen and furniture that can be used throughout a son's life, but have added small, more childish details so that it feels more like a kids bedroom now. When the little boy begins to grow up, these can be replaced without the parents having to spend a lot more money on new furniture and linen. The dark wooden floors are fantastic for a bedroom space, creating a warm, cocoon-like look and feel. The large, glass doors allow for panoramic views of the surrounds and let in an abundance of natural light. Because of this, the designers have opted for soft dimming lights and a lamp, allowing for soft light in the evenings. This is a family home that this family must be incredibly proud of, thanks to the fantastic work by the architects. 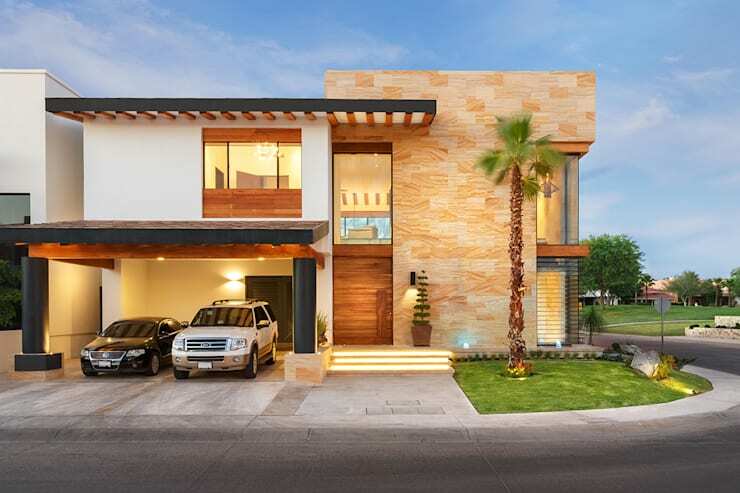 And if you like this one, you'll love this: Home that takes finesse to new highs. As Faith Hill said, The foundation of family—that's where it all begins for me.